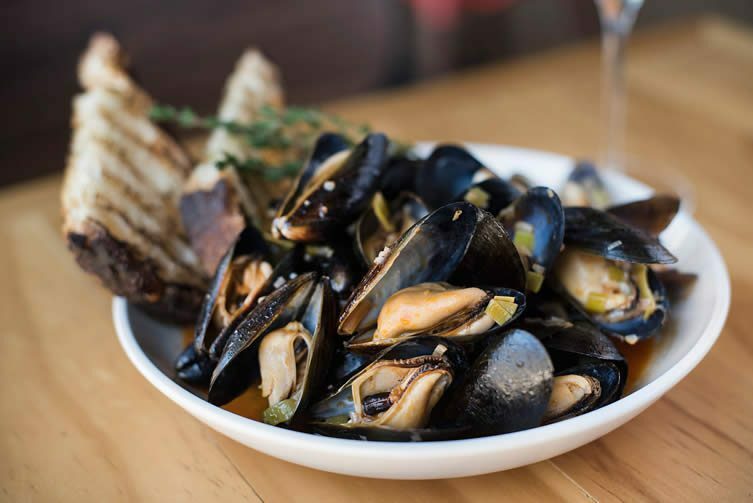 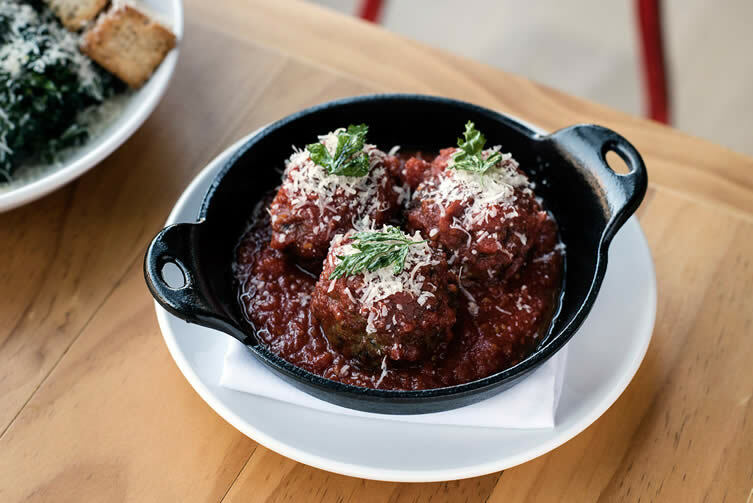 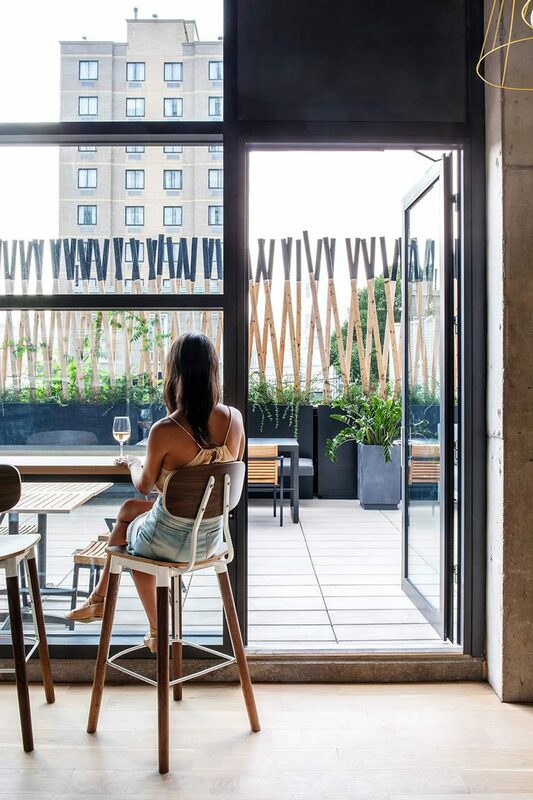 Floor-to-ceiling windows, furniture with a mid-century mindfulness and an outdoor courtyard are just some of the design features at Beebe’s, the new bar and restaurant situated within Long Island City’s design-conscious Boro Hotel. 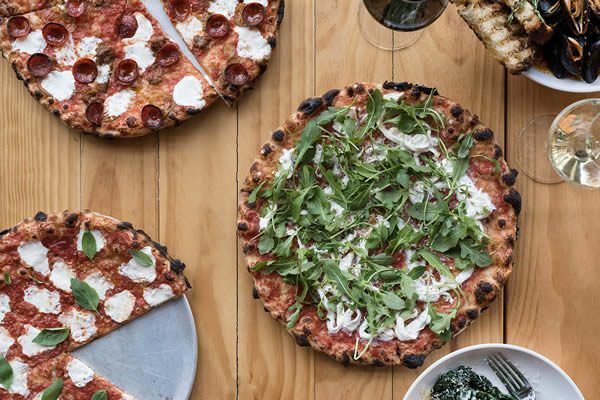 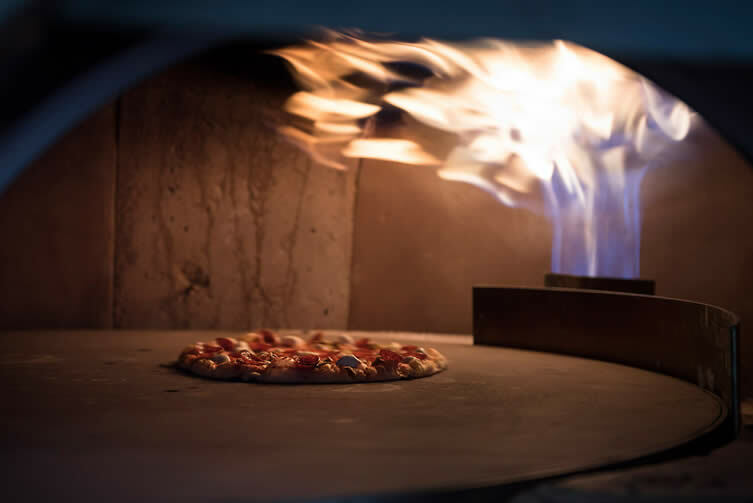 The topped-to-the-edge, crispy thin-crust pizzas at Beebe’s Long Island City pay homage to New York City’s original style pies from the early 20th century. 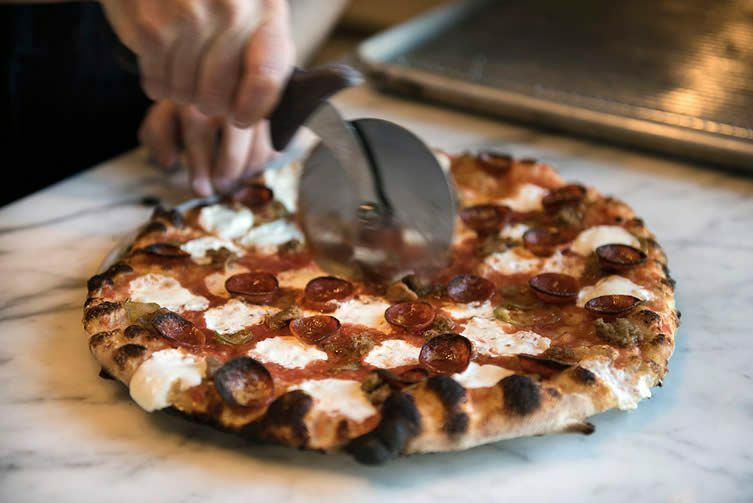 Serving up crispy thin-crust pizzas alongside a menu of New American cuisine—with strong Italian and New York influences, the all-day restaurant is run by chef Lou Tomczak, formerly of Emmy Squared, along with chef George Mandakas, and is quite the laid-back spot to a while away a long lunch or evening meal. 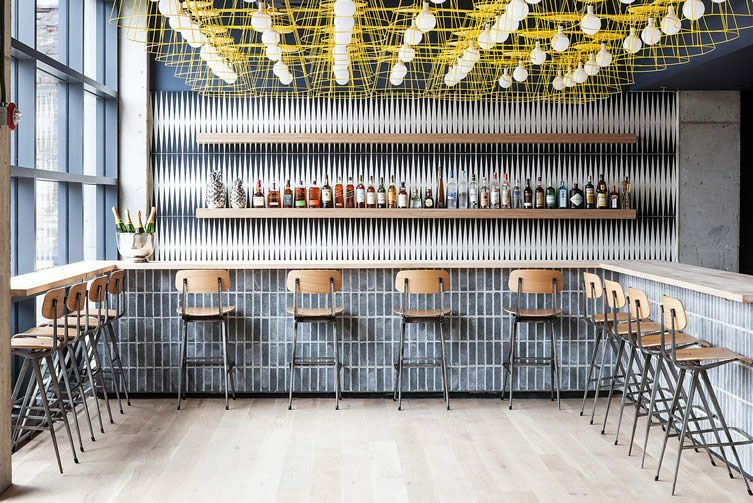 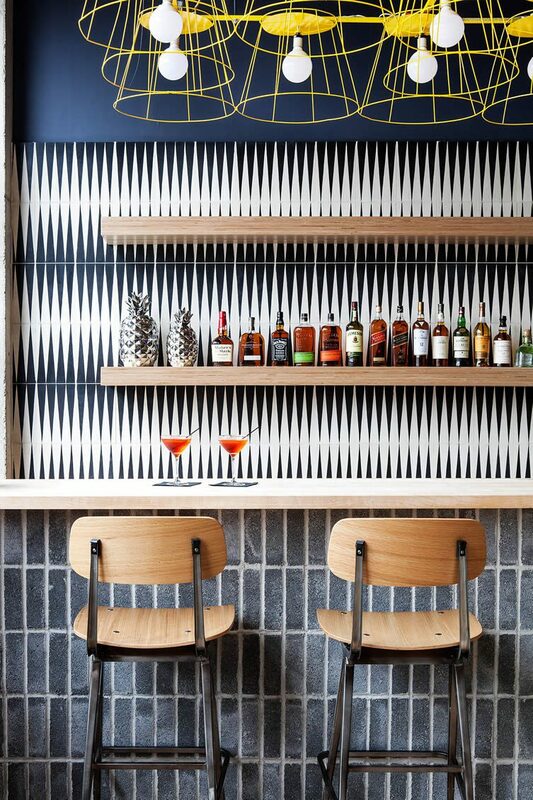 Located on the hotel’s ground floor with a small courtyard, Beebe’s attracts locals and visitors, and encourages mingling over good honest food and among inspirational design. 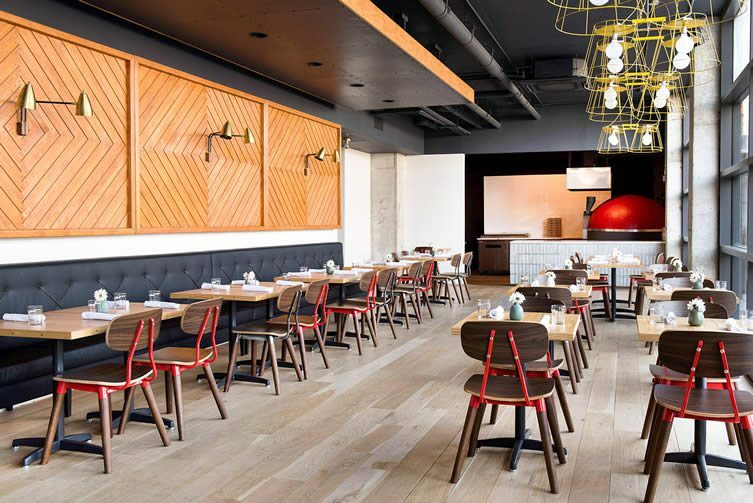 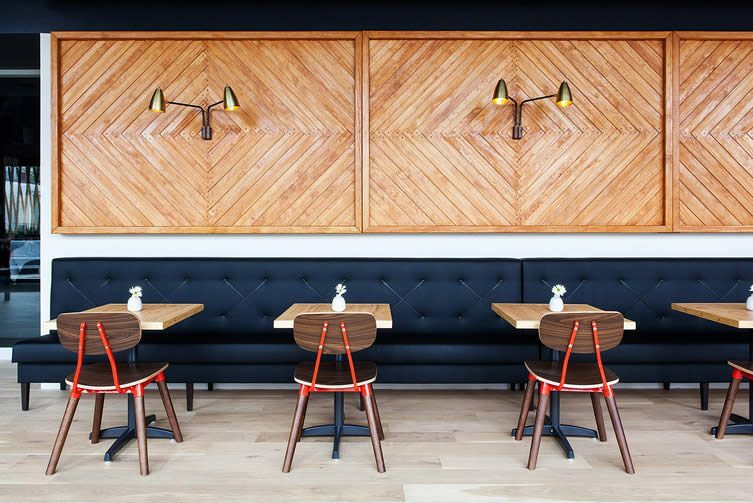 Boro’s owners left Eric Mailaender of Resistance Design in charge of creating a contemporary space that features geometric wood wall panels, custom banquettes and fine city views. 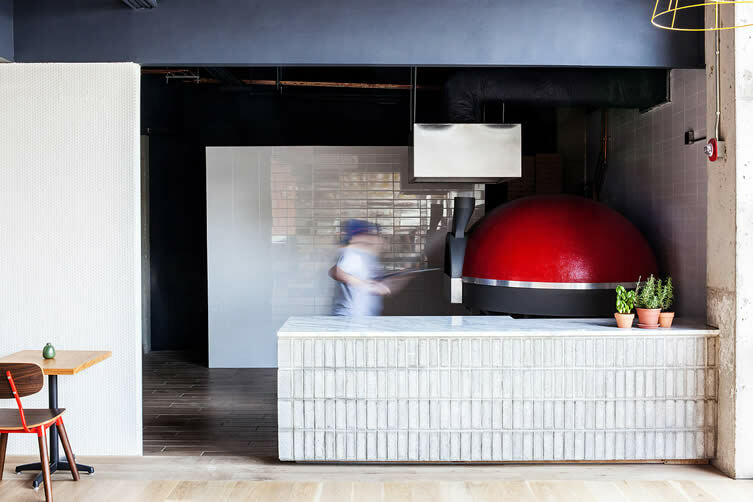 A bright red pizza oven and cement brick and butcher-block bar make up the eatery’s focal points; allowing diners to watch as the chefs prepare those ‘topped to the edge’ New York style pies, and classic meat and pasta dishes, whilst catching a glimpse of bartenders Miguel Govea and Maximilian Caraballo shaking up their mean seasonal cocktail list.